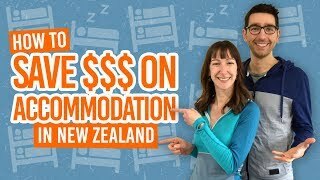 See a real life kiwi! Considering kiwis are New Zealand’s national icon, you would think they are be everywhere. They’re not. Kiwi birds are not only an endangered species but nocturnal so chances of just bumping into one is very slim. However, because Kiwis love kiwis, there are plenty of conservation projects set up to protect these native flightless birds. Additionally, there are sanctuaries and zoos to see a real life kiwi. 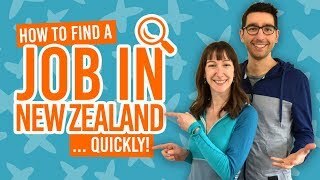 So where can you see kiwi birds in New Zealand? The kiwi habitat is mostly dark bush areas of New Zealand like the forests or sometimes wetlands. Seeing them in the wild is a truly rewarding experience but pretty tough to accomplish, especially when most sightings occur at night. Alternatively, seeing a kiwi in a conservation house or centre gives you the opportunity for a closer look, but lacks that feeling of wonder and achievement that you get when seeing wild kiwi. Either way, here are the different places where you can find a kiwi bird in New Zealand. The kiwi’s natural habitat is in remote forest areas, usually nesting in burrows, hollow logs or under vegetation. You are more likely to hear the males’ loud screeching call or the females’ hissing sound in the wild. For those determined enough to see a kiwi in its natural habitat, kiwi spotting tours will give you a better chance of making dreams come true. One of the most famous kiwi sanctuary in New Zealand is Zealandia, just outside Wellington city. It is a valley sanctuary and tourist attraction where you can see kiwis and many other native New Zealand wildlife in their natural habitat, albeit a controlled habitat. The 225ha area is protected by a specially designed fence to protect the wildlife within from any mammalian pests. Zealandia puts on night tours to see the little spotted kiwi. The sanctuaries of Sanctuary Mountain Maungatautari and Waimarino Forest are also safe havens in the North Island. Follow our story on releasing a kiwi into the wild here: Saving Smaug the Kiwi Bird. Kiwi Encounter at Rainbow Springs, Rotorua (admission fee is a 100% donation to the National Kiwi Trust).